Though orthodontics are most often associated with children, more and more adults are now choosing to correct the alignment of their teeth and address cosmetic concerns that have bothered them since childhood. With new techniques we can straighten your teeth in less time and with less conspicuous methods. For example, the AcceleDent® Aura is an oral appliance that can be used for just 20 minutes a day to dramatically speed up the duration of your orthodontic treatment by quickening the bone remodeling process. Or, as an alternative to placing the braces on the front of the teeth, lingual braces can be discreetly hidden on the back of the teeth and are invisible to others for the duration of your treatment. With an initial consultation and physical exam, we can help you decide which method of orthodontics can best achieve your goal of straight teeth and a beautiful smile. In addition, after orthodontic treatment, the majority of our patients experience a boost of confidence in their professional and personal lives. By taking control of your teeth now, you can take pride in your smile for decades to come. 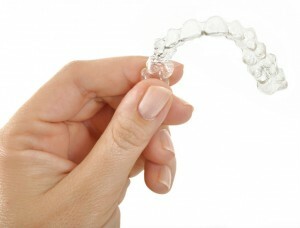 For more information about orthodontics, or to schedule a consultation, please contact us today.